Gamification for inclusive formal learning environments. No One Left Behind Project uses the potential of digital videogames and game-making creating new experiences in formal learning situations, underpining meaningful learning and supporting children to realise their full potential. 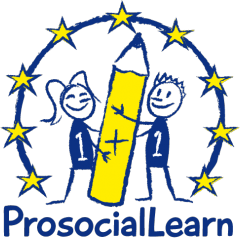 ProsocialLearn is a 36-month (January 2015 – December 2017) project funded by the European Union, will deliver a series of disruptive innovations for the production and distribution of prosocial digital games that engage children, as well as stimulate technology transfer from the games industry to the educational sector. Boosting games development for education and training in Europe. RAGE, Realising an Applied Gaming Eco-system, aims to develop, transform and enrich advanced technologies from the leisure games industry into self-contained gaming assets that support game studios at developing applied games easier, faster and more cost-effectively. BEACONING’S concept is to digitally enable play-learn in everyday spaces fostering cross-subject learning, facilitated by personified gamified lesson plan where context-aware educational resources and ad-hoc learning in the surrounding environment can be triggered. Mobile Age ensures the inclusion of seniors in digital services, eases their administrative tasks thanks to user-friendly applications, and supports their access to civic participation, active ageing and their involvement in developing age-friendly communities. The project will also increase transparency and trust in public administration through sharing and reuse public information. 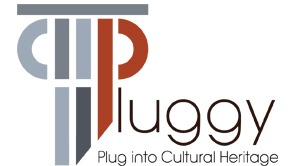 PLUGGY is a 3-year project, started at December 2016, which will provide a social platform and a series of pluggable applications that aim at facilitating a continuing process of creating, modifying and safeguarding heritage where European citizens will be consumers, creators and maintainers of cultural activities. One of the apps developed within PLUGGY is the 3D Sonic Narratives app, utilizing technology from 3D Tune In. The 3D Sonic Narratives app will enable users to create audio packages that they can upload onto the social media platform. It will have advanced 3D acoustic recording technology so that users can record realistic audio soundscapes of local attractions such as the ringing of bells at a church that has heritage value.